Prague 1 consists mainly of 3 parts: Staré Město (Old Town), Malá Strana and Josefov. It´s truly an architectural treasure chest. If you are looking for something medieval, this is the place to be. You will be surrounded by history, museums, theaters, high-class restaurants and fashion boutiques. Everything is easily accesable by walk, though the center is very well connected by trams and 3 subway lines. Parking might be difficult to find and a permit is required. Malá Strana is located on the left river bank and is home to quaint cobblestone streets and unique architecture that has remained unchanged for centuries. This beautiful part of town is home to many foreign embassies, impressive gardens, and boasts some of the best restaurants. Old Town and Josefov are located on the right river bank and are still the most popular international meeting hubs with vast markets that make finding anything you could need easy. Both parts are connected to Malá Strana by the famous Charles Bridge. With this prime location of scenic views and impressive history, some of the most coveted properties are in this part of town. From the old ghetto in Josefov rose fantastically-sculpted apartment buildings on bucolic tree-lined streets. 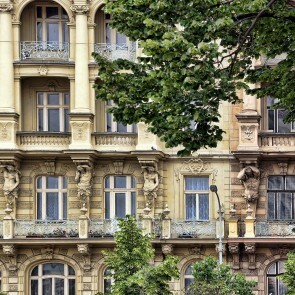 Pařížská Street, so named for the city of Paris, lives up to its tribute by being the home to the most elegant apartments in Prague and highest luxury shops. With the historical buildings, fantastic commercial spaces, and ease of travel, you will find the majority of rentals in this area. Nové Město, in between Prague 1 and Prague 2, is predominantly home to offices and apartment buildings. With such a residential feel to it, it can comfortably boast of the fantastic restaurants and shopping found in its street. Indeed, the famous shopping streets, Na Příkopě and Václavské náměstí, are located in this area. 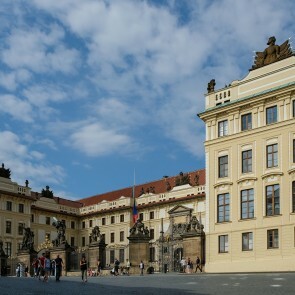 Na Příkopě remains one of the most prestigious addresses for Prague commercial and retail space and the area around it is considered prime investment locations.